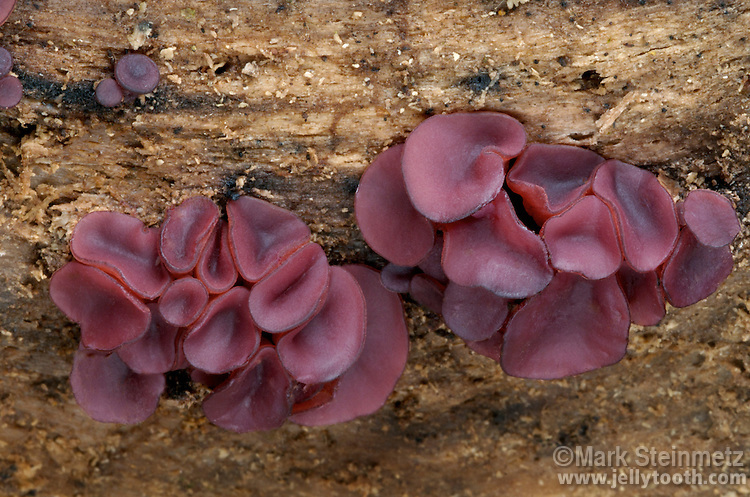 Tiny purple cup ascomycetes (Ascocoryne sp.) on rotting American Beech. Flint Ridge State Memorial, Ohio, USA.